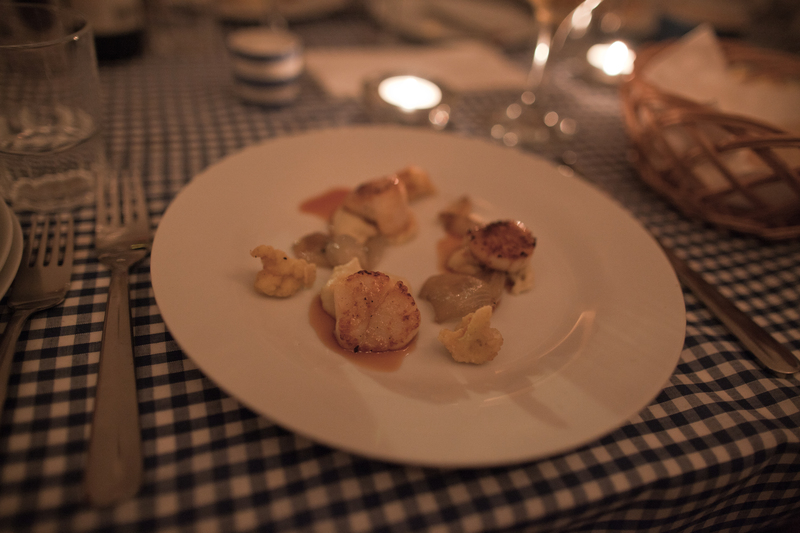 Bishopston Supper Club | Come and join the dinner party! Come and join the dinner party! Bishopston Supper Club is an alternative dining experience in Bristol – home to communal dining events, private catering, and producer of handmade preserves and baked goods. Advance bookings are essential, please email bishopstonsupperclub@gmail.com stating which event you’d like to attend, and any specific dietary requirements, if applicable. Please pay on the day/night, Bristol Pounds and txt2pay are also accepted. Children welcome at all daytime events. Feel free to bring your own drinks. A confirmation email with menu & address etc. will be sent out prior to the event. Sunday 13th, 2.30pm, roast dinner served family style with all the trimmings, pudding & coffee/tea, £18 per person. 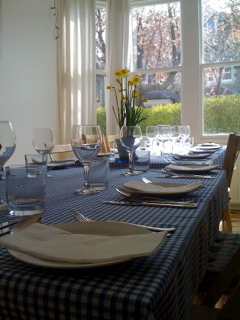 Saturday 19th, 7.30pm, 5 course supper of lovingly prepared, simple seasonal treats, £30 per person. Sunday 18th, 2.30pm, roast dinner served family style with all the trimmings, pudding & coffee/tea, £18 per person. 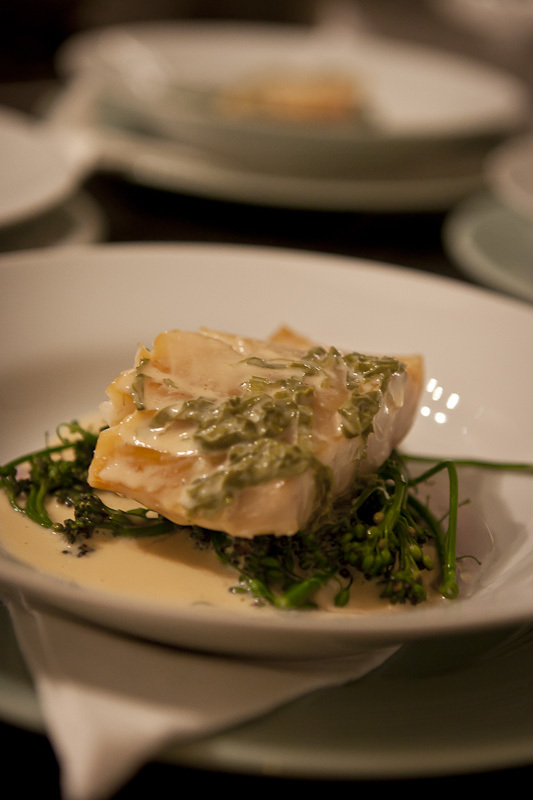 Saturday 31st, 7.30pm, 5 course supper of lovingly prepared, simple seasonal treats, £30 per person. Sunday 15th, 2.30pm, roast dinner served family style with all the trimmings, pudding & coffee/tea, £18 per person. 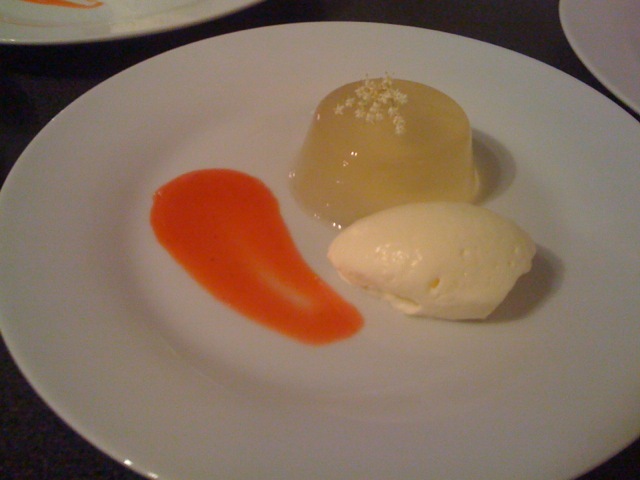 Saturday 28th, 7.30pm, 5 course supper of lovingly prepared, simple seasonal treats, £30 per person. Sunday 6th, 2.30pm, roast dinner served family style with all the trimmings, pudding & coffee/tea, £18 per person. Saturday 12th, 7.30pm, BSC’s 5th birthday feast, 5 course supper of lovingly prepared, seasonal treats with extra bubbles, join us to celebrate our 5th birthday! £35 per person. Thursday 31st, 8pm, New Year’s Eve feast, 6 course supper of lovingly prepared, seasonal treats with extra bubbles, join us to celebrate the new year! £40 per person. BSC is also available for private events, please check for availability. To be added to the mailing list for future events, enquiries, private bookings, cookery lessons, gift vouchers or to reserve places, please email bishopstonsupperclub@gmail.com. Please notify me of any specific dietary requirements when booking, thanks. Vegetarian, vegan and gluten-, dairy- or nut-free options are always available. Various homemade produce, cakes etc. are available to order from BSC HQ, please email for details. A selection of my homemade preserves are also available to buy directly from me, Gardners Patch, Joe’s Bakery & Windmill Hill City Farm Cafe. My cakes are available at Station Kitchen, Zazu’s Kitchen, Gloucester Rd, & St. Werburghs City Farm Cafe. My events are held in my Bishopston home, just off Gloucester Rd by the cricket ground and St. Andrews park. The address, menu and details will be sent out to booked guests a few days before each event. Please respect my home, and my neighbours by leaving quietly. Please pay on the day/night in cash or Bristol Pounds/text 2 pay, envelopes will be provided. For parties of 8 or more, or for private events, a deposit will be required to secure the booking. Please notify me if you can no longer make it at least 48hrs prior to any event booked, last minute cancellations will incur a 50% cancellation fee. I’ve always enjoyed cooking for others and entertaining guests at home, in my own relaxed and informal way. For me, food is a great way to communicate and express oneself. I aim to use seasonal, locally & ethically sourced produce to create homely, simple classics with a pinch of my own personality thrown in. Everything (as much as possible) is homemade, including the bread, and some produce is even homegrown. It is a refreshing change from working in a professional kitchen (I’ve been a professional chef for nearly 20 years) and I love every minute. My guests all sit together so it’s very informal and friendly, great for meeting new people. Guests bring their own drinks, an open mind, and leave their donation in cash in envelopes which I provide at the end of the meal. There is no dress code. Those who are booked in will receive an email a few days before the event containing details such as the address and menu. My style of cooking is rustic and flavourful, mainly classic British & French inspired cuisine. The events are run at a leisurely pace, I usually only do one sitting. I do all the cooking and serving myself, I have an assistant on hand on the day to help with washing up etc. Please prepare to be sociable and entertain yourselves while I feed you delicious food! I am available for private catering, and private or group cookery lessons, please email to enquire or book. 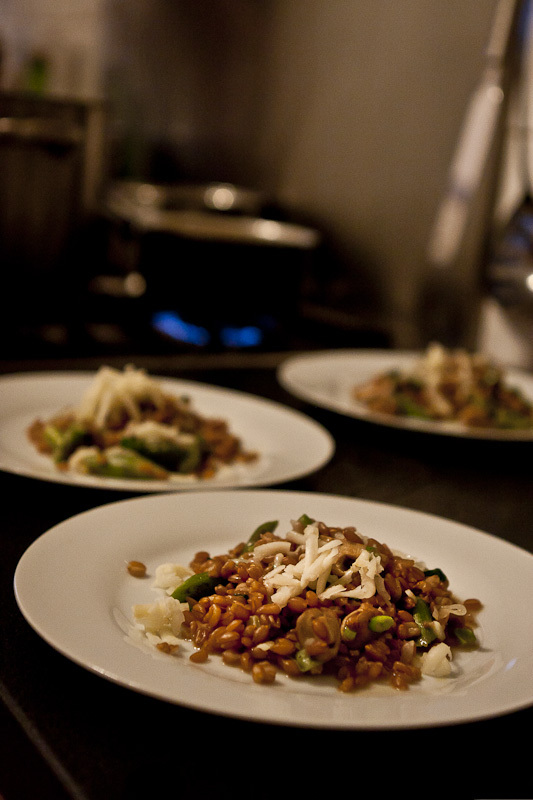 More details on the Cookery Workshops and Private Bookings pages. 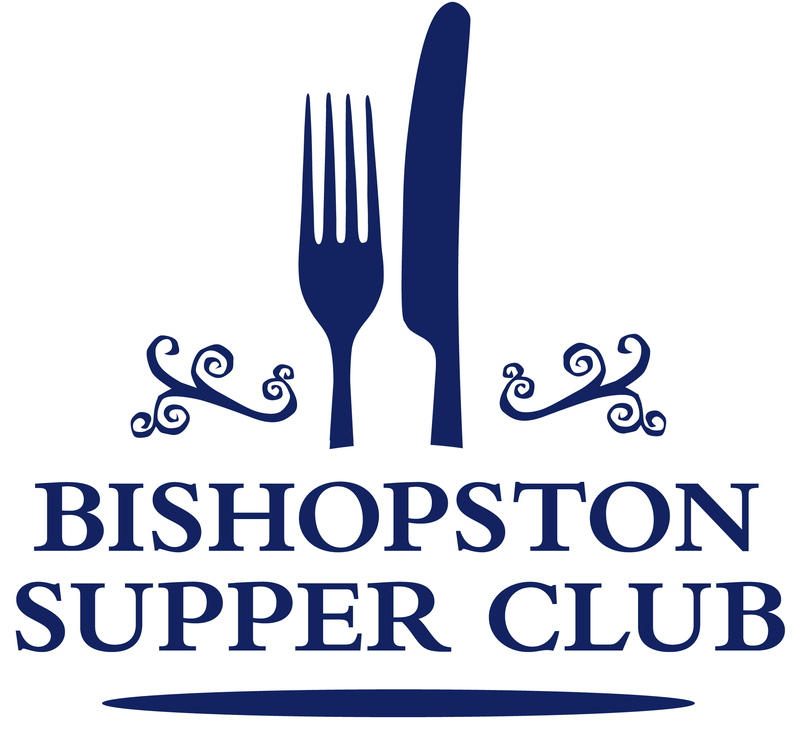 To keep up to date with the latest news follow me on twitter (@restingchef & @BishopstonSC), ‘like’ the supper club facebook page (@bishopstonsc on Instagram) or email me at bishopstonsupperclub@gmail.com. 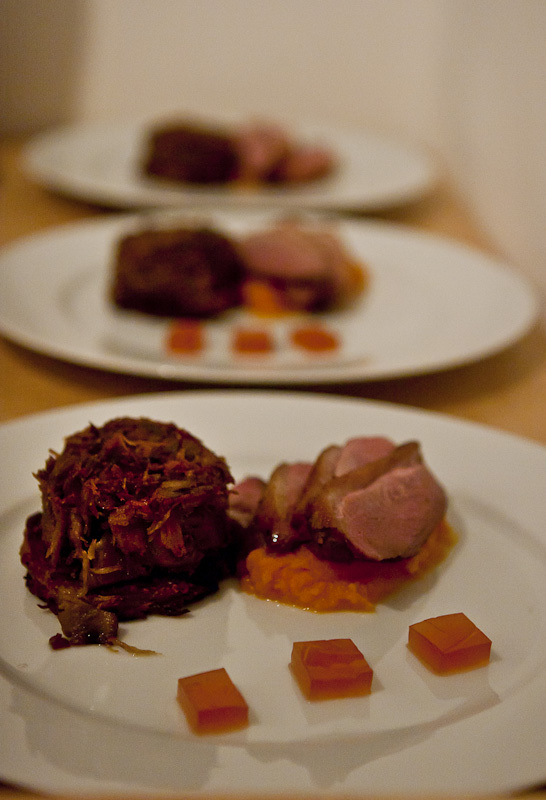 Supper for strangers – Bishopston Supper Club featured in the Bristol Evening Post and Metro http://t.co/YzrQIWk. could you spare me a seat ? Great, thanks. Let me know if you need any more info. Love the site here. Found you on Twitter, but if I was closer to Bristol I would definitely be up to attending one of your Supper Clubs – the pics look great! Last year I had a significant Birthday Milestone to celebrate. So I looked & asked my fellow foodie friends if any of them knew a good chef who would be able to cook for 40 covers at a private dining event. Lorna Knapman (founder of the Love Food Festival) suggested Danielle. So I got in touch. I have been cooking since I was very young, and used to earn a living from the trade, however things have changed & I’m no longer in catering; however I know what I like. I have been told in the past that I have very high standards. Danielle was a joy to work with, the preparations were very easy. Danielle is both flexible and professional. The dinner was a great success. Everyone commented on the quality of the food. Confit of Pork belly on a bed of savoy cabbage cooked with bacon, with a pork stock & cider reduction, served with daupinois potatoes. 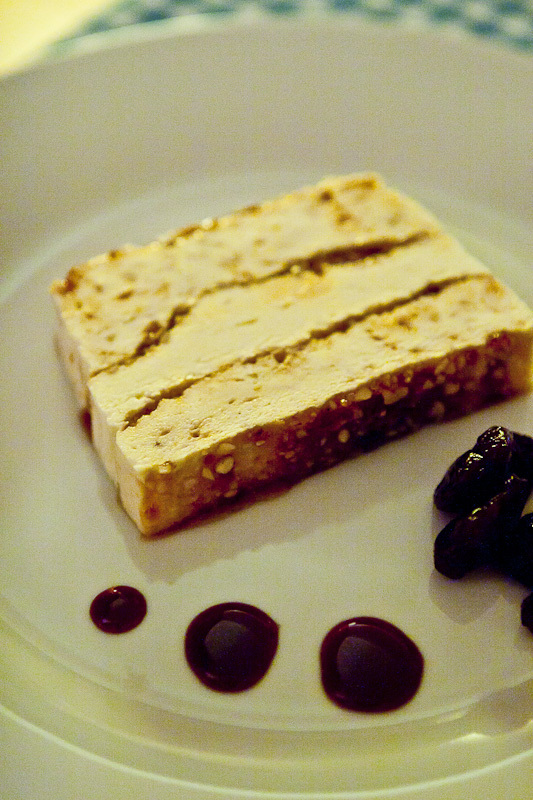 Buttermilk pudding with Hix Cherries. I sourced some green & blacks mint filled dark chocolate, cakes, and baclava to go with coffee. Danielle arranged for booze from both the Bristol Cider Shop & also Grape & Grind. Anyone who ever needs a chef, should look no further than Danielle Coombs. An excellent experience from start to finish. Thanks again Danielle! 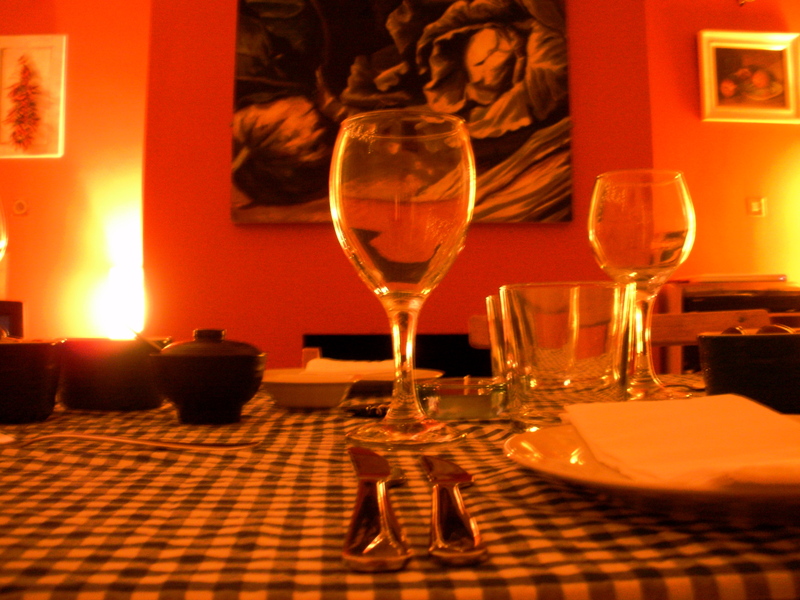 For my birthday earlier in the year I wanted a relaxed sit-down meal in a intimate setting with good food. I had previously had food cooked by Danielle Coombs so knew instantly to bi-pass a restaurant and instead have a supper at Danielle’s house. I let Danielle design the menu, which was three courses in total. The vegetarians were well catered for with the main course only being a different dish to the main meat course, and therefore everyone was able to comment on the same dish. The chocolate cake dessert was the outstanding dish. Everyone asked Danielle for the recipe! The supper at Danielle’s was the highlight of my birthday, it was relaxed, great value for money and the ambiance was incredible. I readily recommend any of my friends and family to Danielle’s for private parties or the supper club. Pingback: DAY 43 (100 hours to go) | Juliet Dunstone - Eco Warrior! Are there any spaces left for June? Sounds delicious!